Raymond Jonas is a historian of culture, society, and politics. He is a member of the faculty at the University of Washington, Seattle, where he is the Giovanni and Amne Costigan Professor of History. He is also adjunct professor in European Studies, African Studies, and French and Italian Studies. He received his PhD from the University of California at Berkeley in 1985. While an MA student at the University of California, he trained at the Ecole des Hautes Etudes en Sciences Sociales in Paris. He has been a visiting professor at the Université de Nantes and the Université de Montpellier. 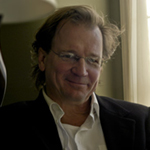 Professor Jonas is the recipient of several major awards and fellowships. He was a Fulbright Senior Scholar in France and Italy in 1993-1994. He has received year-long research fellowships from the National Endowment for the Humanities and the Howard Foundation at Brown University. In 2006 he was a fellow at the Institute for Advance Studies in Princeton. Jonas is the author of many books, articles, and essays. His books have been translated into French and Chinese. He has been invited to give lectures at Stanford University, Princeton University, the Los Angeles, Irvine, and Berkeley campuses of the University of California, the University of Virginia, Cornell University, the Ohio State University, among others, as well as the Minneapolis Institute of Art, the Seattle Art Museum, and the National Gallery in Washington, DC. His publications include France and the Cult of the Sacred Heart: An Epic Tale for Modern Times, (Berkeley, 2000) and The Tragic Tale of Claire Ferchaud and the Great War (Berkeley, 2005). He has just completed The Battle of Adwa: African Victory in the Age of Empire (Cambridge, 2011).